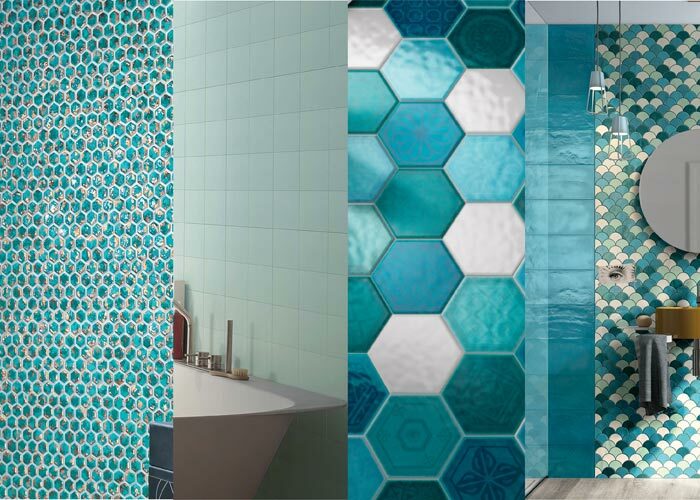 Exciting Tiling Trends of 2016 For Your Home! 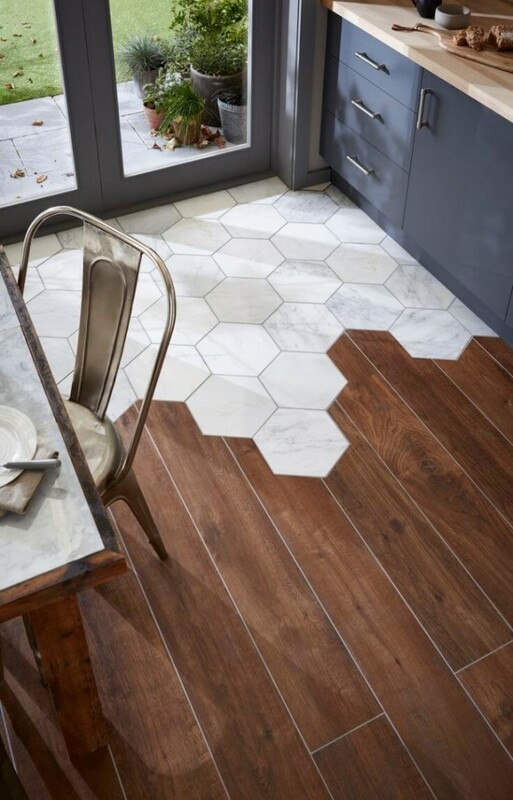 Tiling trends of 2016 are unlike anything you’ve ever seen before today! With continuously evolving technologies, companies are able to create ceramic tiles with three-dimensional folds, chromatic textures and overlaid patterns. You might try one material on the wall and a different one on the floor. Or you might opt for a busy floor pattern and a sleek look on the backsplash. There are endless variations that can create depth, movement or focus to any room. If you’re thinking of redecorating your kitchen or bathroom, consider mixing and matching some of the most high-tech and unique tile ever made! What are the newest tiling trends? Here are some of the new and hottest trends in the industry, portraying vivid kaleidoscopic effects or sleek panels with a wide variety of materials. Instead of laying an area rug to ‘zone’ a room, consider strategically using rectangular blocks of patterned tiles. 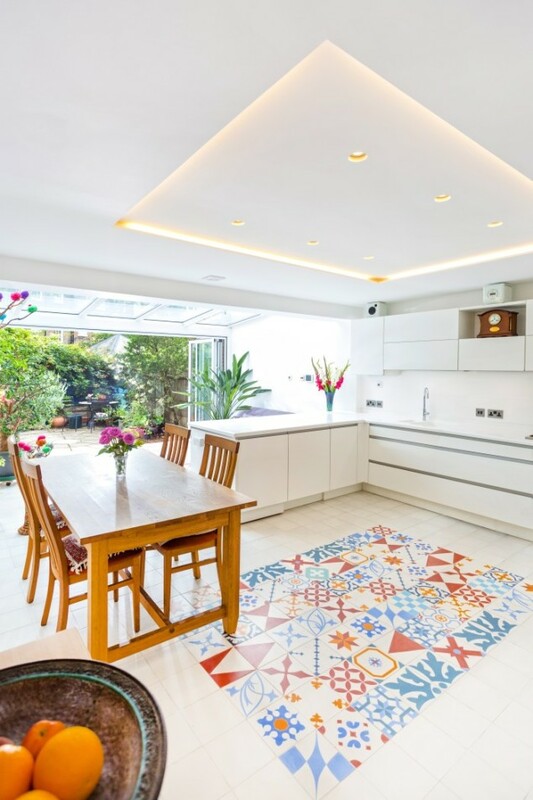 This is especially useful in large open plan spaces where all the internal walls that would otherwise define the separate areas may have been removed. Another unique idea is to use different materials, shapes or shades for the same floor. You can use wood flooring or tiles that look like wood, alongside stone tiles. 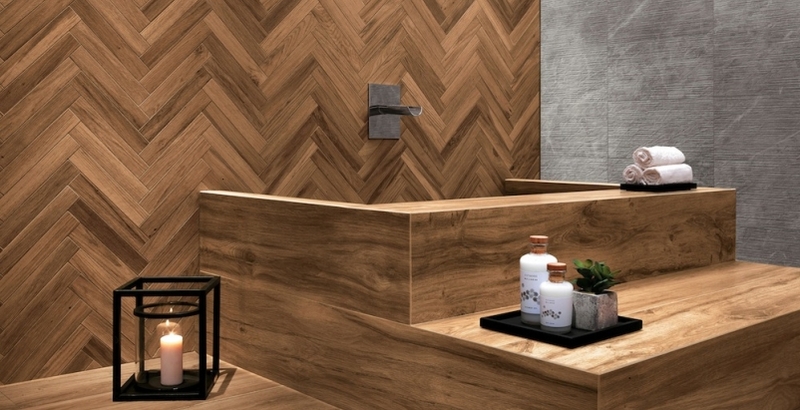 Wood tile is looking better and better with each new product introduced. You’ll also find wood-look tile making a strong appearance on the walls, creating a sleek and clean look in any room! 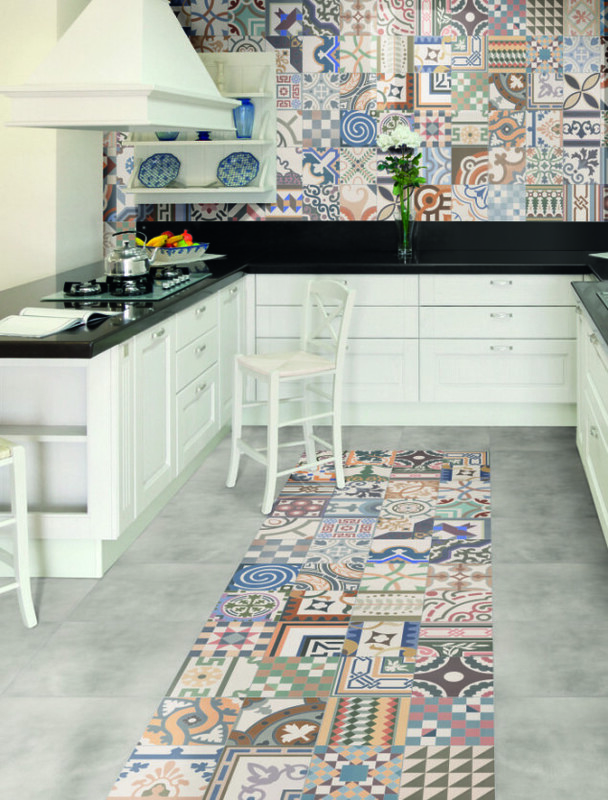 Italian ceramic companies are playing with the idea of modularity, designing fragmented patterns on square and rectangular tiles to produce large compositions. It’s exciting to consider how to create artwork on ANY wall or floor in your home. These tiles together creates a three dimensional wall with a seamless sculpted surface, a favorite of the modern/contemporary design fans. This cool aqua palette of greens and blues brings a cool coastal vibe and pop of color in your bathroom. From large-format and modern surface effects to more traditional shapes and motifs, you can feel the calming vibes of the ocean anytime! 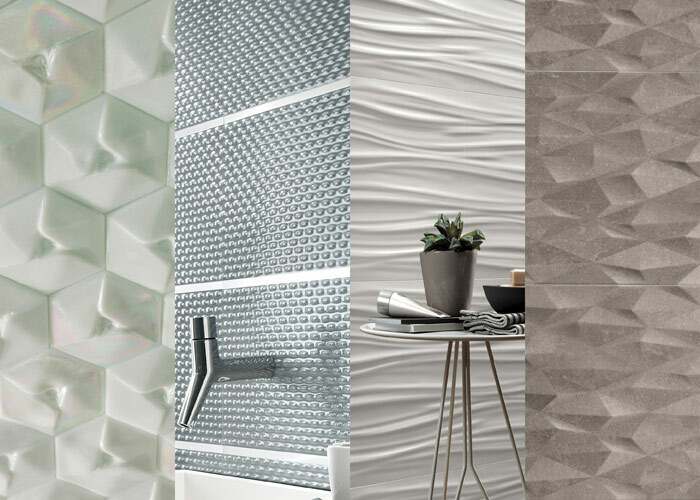 Get excited about the possibility of creating masterpieces in ANY room with these new tiling trends…we’ve never had so many amazing and beautiful options to design the life you love!